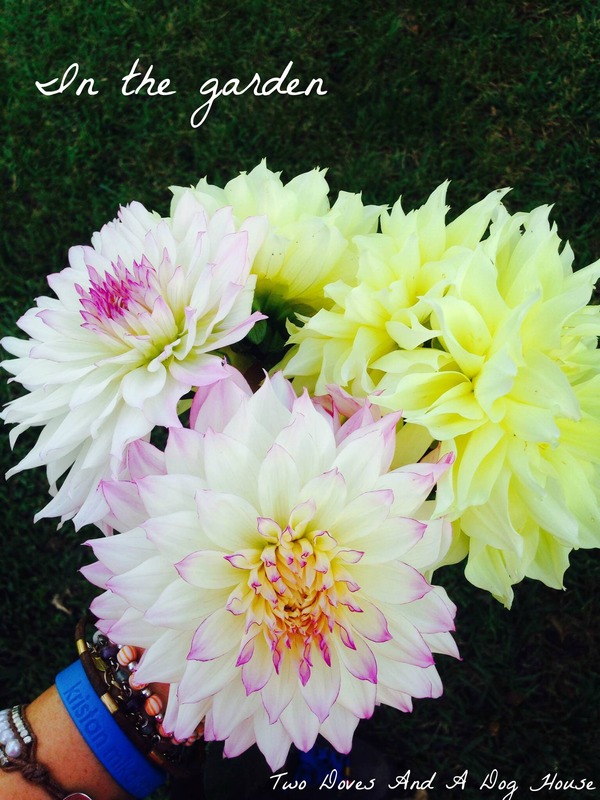 Have you ever planted dahlias before? It is my first year planting dahlia’s in the garden and may I just say it’s been an experience of PURE DELIGHT :D. I planted two varieties of dahlia’s in mid March and now in October I have blooms everywhere.. they have reached a gorgeous length of over four feet. The blooms are so stunning and offer cheerful company around the house. The pinkish white dahlia is known as an Illusion Dahlia and the yellow is named the Kelvin Floodlight Dahlia. 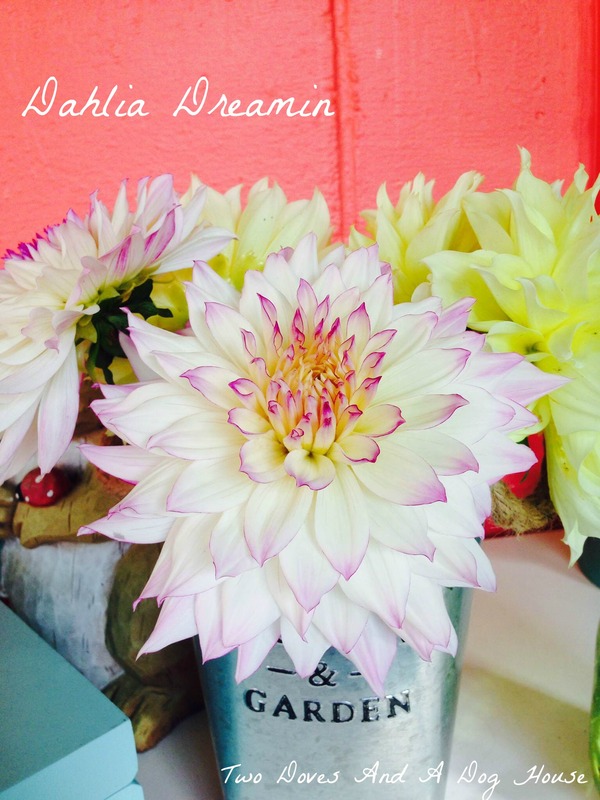 If you haven’t grown dahlia’s before I definitely recommend it! there are so many beautiful varieties to add to the garden. I do recommend staking them early on.. garden stakes will help support the weight of these tall and heavy blooms.